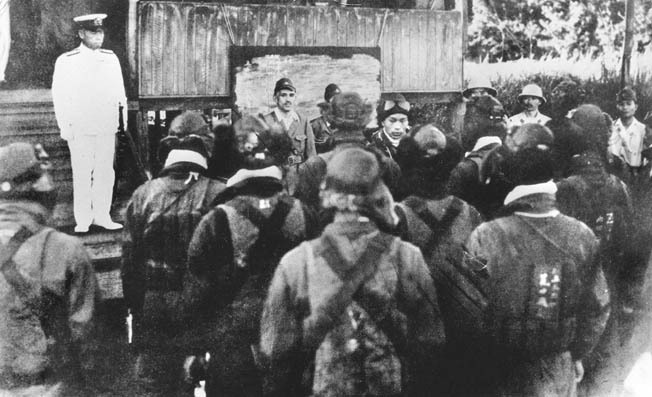 Tojo and Yamamoto demonstrated the divergent views between the Japanese Army and Navy on military strategy in World War II. Three generations of Americans wrongly believe that General Hideki Tojo and Admiral Isoroku Yamamoto were equally culpable in starting the Pacific War. This is untrue. The Imperial Army was ascendant over the Imperial Navy throughout the modern period, and it was usually led by one or another faction of highly aggressive, hegemonistic officers. As the junior service, the Imperial Navy could do little but accede to the will of the generals and support the generals’ expansionist policies. Tojo, who was born the son of a junior Army officer in 1884, was known by his peers as “Fighting Tojo” and “Razor Brain.” He was marked for high station by the character traits those nicknames encapsulate. His only direct exposure to the West was in postings to Switzerland in 1919 and Germany in 1921. Thereafter, his rise to power began when he was a junior major general serving in China in 1935. 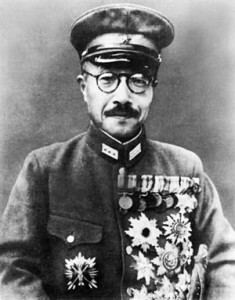 Anti-Soviet and pro-German, Tojo lobbied for war against the former so forcefully as to rattle other pro-war Army officers. 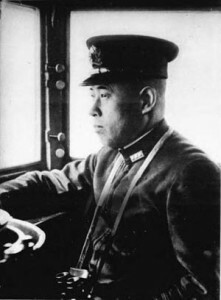 He became chief of staff of the Kwantung Army in China in 1937, vice minister of war in May 1938, and inspector general of Army aviation in December 1938. He served as vice premier under Prince Fumimaro Konoye, then became minister of war on July 18, 1941. He finally—perhaps inevitably—took the helm as both minister of war and prime minister on October 16, 1941. While Tojo backed the final diplomatic efforts to avoid war in the Pacific and Southeast Asia, he had long since concluded that an American and British economic stranglehold against Japan was intolerable in the immediate term, that if diplomacy failed by early December 1941, war must ensue. Except in the area of sheer brain power, Isoroku Yamamoto was Tojo’s polar opposite. Also, though he commanded the Japanese fleet when the war started, he was more than a few rungs down from Tojo when war planning began. Tojo was the policymaker, Yamamoto the policy implementer. Yamamoto was born to an impoverished farming family in 1884, the year of Tojo’s birth. He entered the naval academy in 1900, graduated seventh in his class in 1904, and was wounded during the 1905 naval battle in Tsushima Straits, where the Imperial Navy battle fleet under Admiral Heihachiro Togo, trounced the Russian battle fleet. Young Yamamoto be-came an instant Togo worshiper and sought to emulate his hero throughout the rest of his life. Where Tojo was insular and had limited foreign travel, Yamamoto studied petroleum economics at Harvard University from 1916 to 1918. (He also became an expert poker player.) Captain Yamamoto earned his aviator’s wings and was made director of an air training base in 1923–1925. He was posted to Washington in 1925–1927 as naval attaché, rose to command the 1st Air Fleet in 1930, then headed the Imperial Navy’s technical service in 1931 (with promotion to rear admiral). He was a delegate to the London Naval Conference in 1929–1930 and the Washington Naval Conference in 1934, following which he went into government as vice minister of the Navy. In his latter capacity, he lobbied against the construction of more battleships in favor of more aircraft carriers, an argument he lost to his ultimate grief. Unlike Tojo, Yamamoto opposed the Tripartite Pact of 1939 that brought Japan into the Axis alliance. Indeed, he had to be sequestered from possible assassination by the Imperial Army. His hiding hole was command in August 1939 of the Combined Fleet, the operational arm of the Imperial Navy. Yamamoto was certain that Japan could not ultimately win a war against an Anglo-American military alliance, and he frankly communicated his doubts to his superiors. His ironclad reasoning was duly noted, but the decision to go to war obligated him to oversee the best planning for war his closely held team of geniuses could fabricate. Yamamoto remained dubious of outcomes, but he gave his all to achieving success. The idea of attacking Pearl Harbor by means of a carrier-borne air assault as a first strike—a concept cribbed from Togo’s Tsushima strategy—was Yamamoto’s, and he approved all the planning for the Imperial Navy’s stunning series of war-opening moves. Tags Allies, Axis, Hideki Tōjō, Isoroku Yamamoto, Japan, Japanese, Kwantung Army, Pacific War, Pearl Harbor, Tripartite Pact.